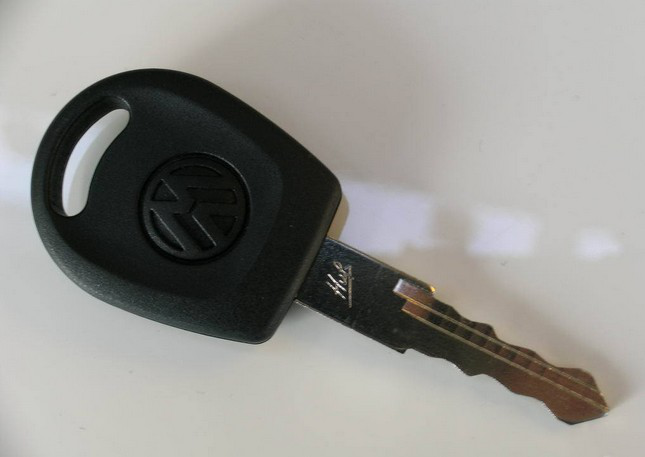 After several failed car key programming attempts, I recently successfully program a new key for a 2010 Jetta. Here I would like to share my experience and hope this is helpful for Jetta owners to program their car keys. There are three things you need: the right PIN code, a car key programmer and a blank key. Usually you can find the PIN code in the car or in the manual book. Many drivers, including me, do not know this actually. After I used a PIN code calculator (hmm, a must for every mechanic) to get the code, a mechanic nearby told me the code was written in the manual book! Well, at least it proved the PIN code I got was right. As we all know, the car key programmers on the market for VW are quite ok. Tools such as X431, VAS 5053, VAS 5054A are all available. But for the 2010 Jetta I came across, the only tool I could use was VAS 5054A. So I bought a VAS 5054A, tested it, and it worked. Buy a blank key with the right chip for the car model. In most circumstances, a blank 2010 Jetta costs from $45 to $100 in different shops. Start the VAS 5054A diagnostic tool, install it, enter the PIN code, and then you will create a new replacement. I made a new key and then tested it on the car. When I inserted the replacement, the immobilizer light turned off. This meant the key can was successfully programmed.